The Concerti were first printed by the Italian violinist Carlo Ricciotti who was an associate of van Wassenaer. Thus Ricciotti became the first candidate for authorship - over the years, others included Handel, Birkenstock et al but the most popular of these supposed authors was Pergolesi. It wasn�t until 1979-80, when the Dutch musicologist Alfred Dunning carried out research in the library of Twickel Castle, the seat of the Dutch aristocratic van Wassenaer family, that he found an actual MS of the Concerti Armonici with a preface by the composer, the distinguished Dutch Diplomat, Count Wilhelm van Wassenaer, known and admired as much for his musical as his political talents. Wassenaer himself was not entirely satisfied with the Concerti but generations of later listeners have not accepted his verdict. Their range of expression and technique is remarkable and the variations in style between movements mark him out as a gifted and original musician who was adept at variations in texture and knew how to handle a group of string instruments. 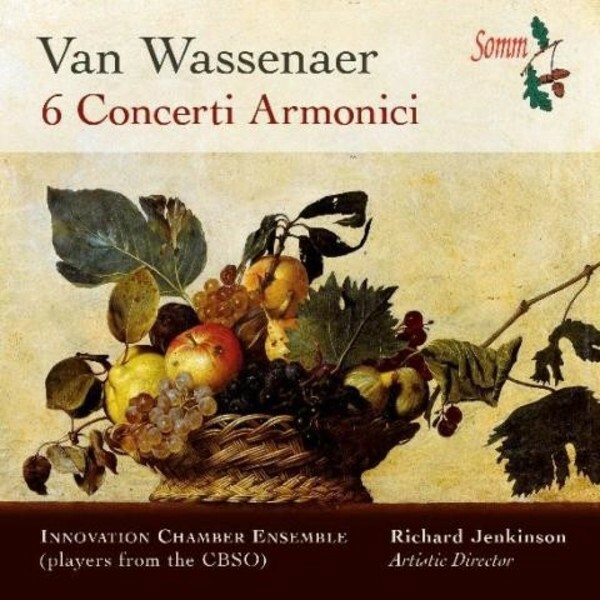 Above all, it is the beauty of these works and Wassenaer�s uniquely individual voice, both noble and poetic, which continue to earn them a high place among the instrumental music of the early 18th century. ICE (Innovation Chamber Ensemble) was formed in 2001 by the principal string players of the CBSO. This is their third CD for SOMM.